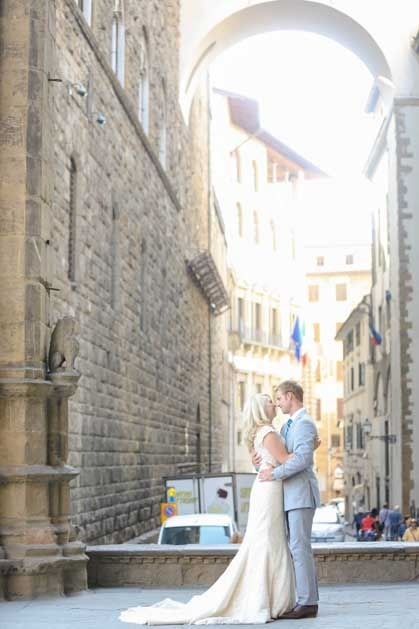 Get married in Tuscany: Florence, birthplace of the Italian Renaissance, a city full of treasures. 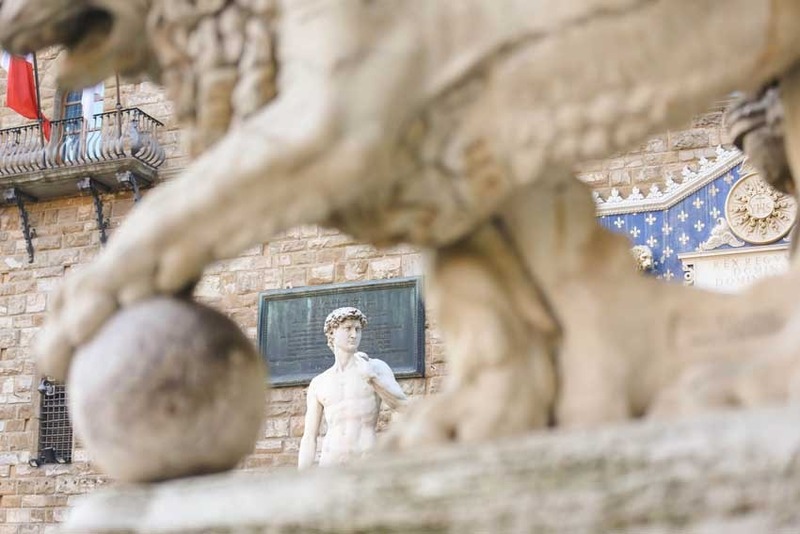 This amazing artistic town may be compared to a rich banquet, for here visitors may feast upon the striking palazzos, impressive churches, the beautiful piazzas, rich museums and galleries. 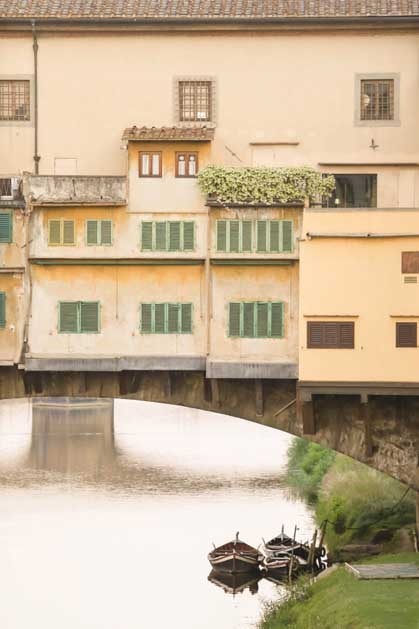 This noble city has preserved its distinguishing characteristics, the endless treasures coming from seven hundred years of cultural and artistic blooming. 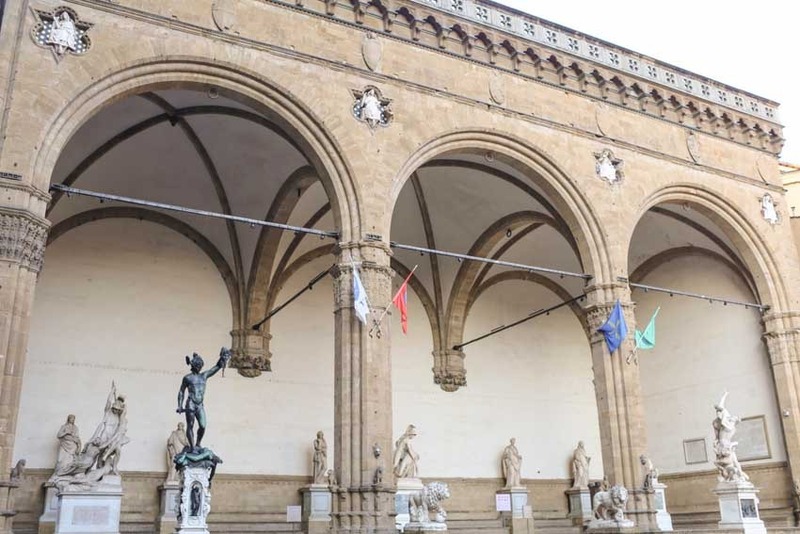 Where else in the world can you walk right across a city in just half an hour and see such a rich tapestry of artistic treasures such as Palazzo Vecchio, Palazzo Pitti, Uffizi Gallery, Boboli Gardens, Santa Maria Novella Basilica. 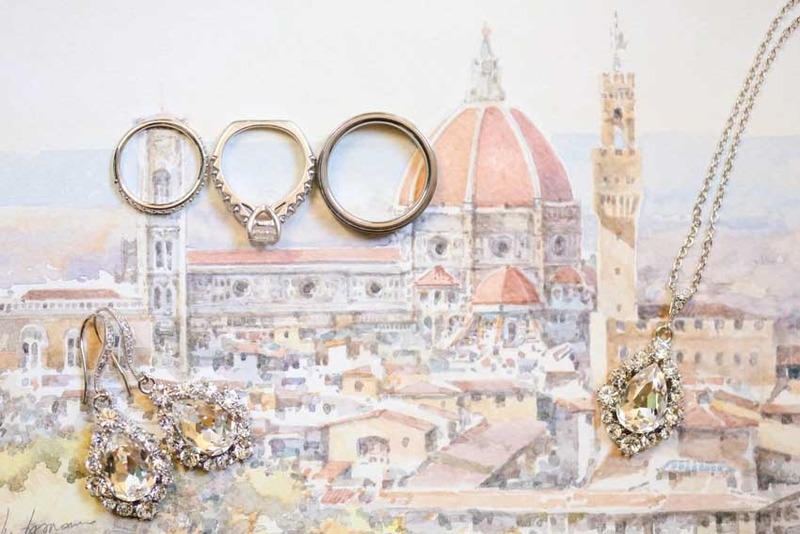 Florence is so rich in art and history that is undoubtedly a magical place to get married. 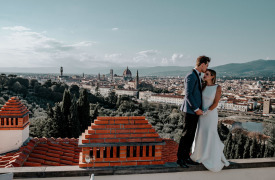 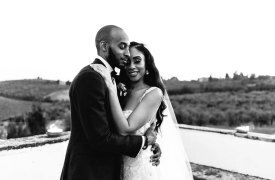 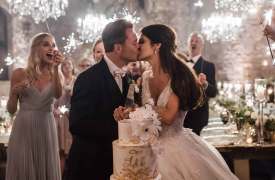 You may consider a civil wedding in the beautiful Palazzo Vecchio, the historical town hall located in the historical Piazza della Signoria or a religious wedding in one of its marvelous historical churches! 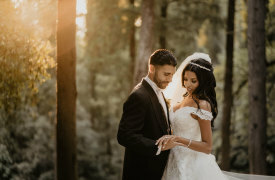 Civil, Catholic, Jewish and symbolic ceremonies can be easily organized in the historical center of town, while wedding receptions can be held in local restaurants, classical Medicean Villas or Medieval Castles located only few minutes’ drive from the center of town. 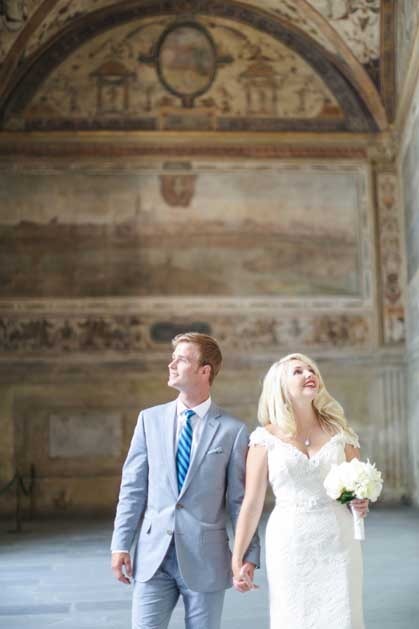 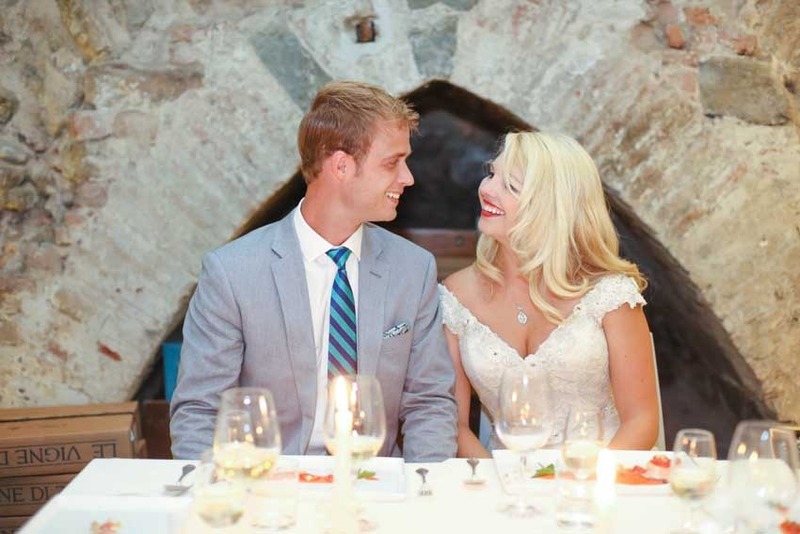 A wedding in Florence is highly recommended whether planning an intimate elopement or a larger lavish event! 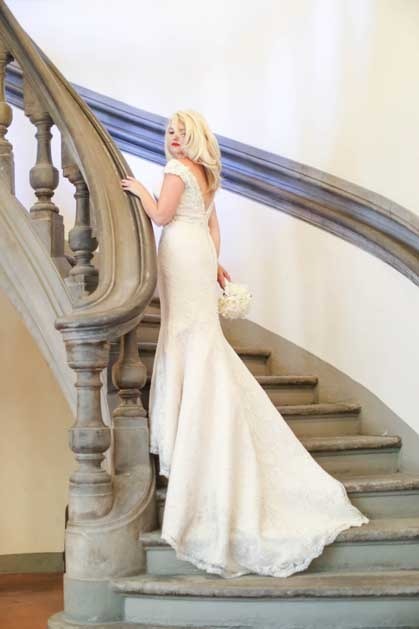 Our Italian wedding planners will help you to plan a Florence wedding, in this enchanting city famous all over the world.